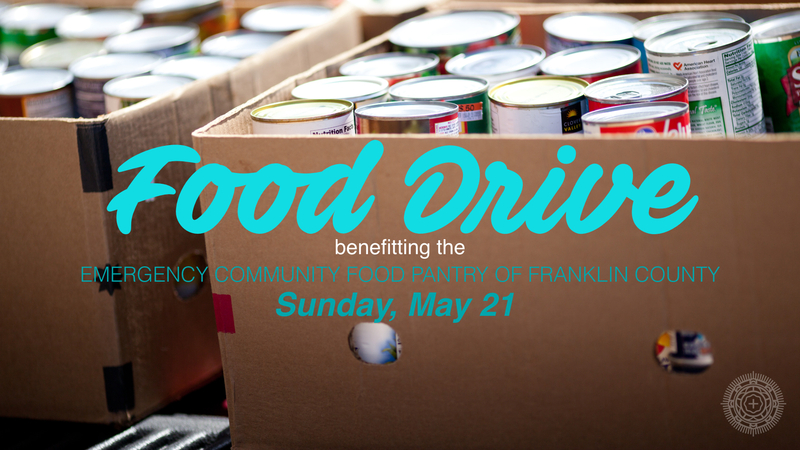 A countywide Community Food Drive is set for Sunday, May 21st, 2017, to help provide critically needed, non-perishable food for the Emergency Community Food Pantry of Franklin County. You can help by bringing non-perishable food items with you to church on Sunday, May 21st. For your convenience, we will have a truck parked at both main entrances and the side entrance by the church office. If you forget to bring your items on the 21st, you can drop them off at the church office through May 31st. On back, see the list of non-perishable items most-needed. Please check the expiration dates on food products.